I went to the theatre to see a production of The Winters Tale with a friend last night, and this is what I wore! It was a lovely play by the way, I’d highly recommend it but It’s the last one this evening! 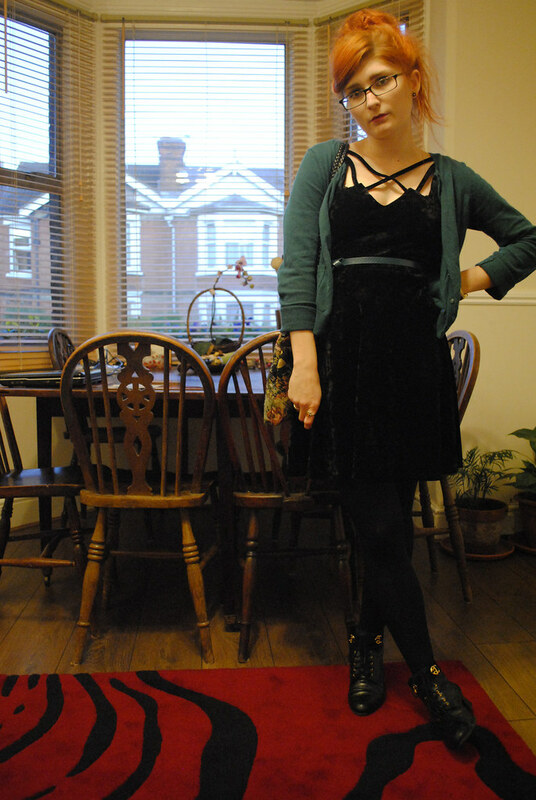 Velvet dress – Ebay (99p!!!!) 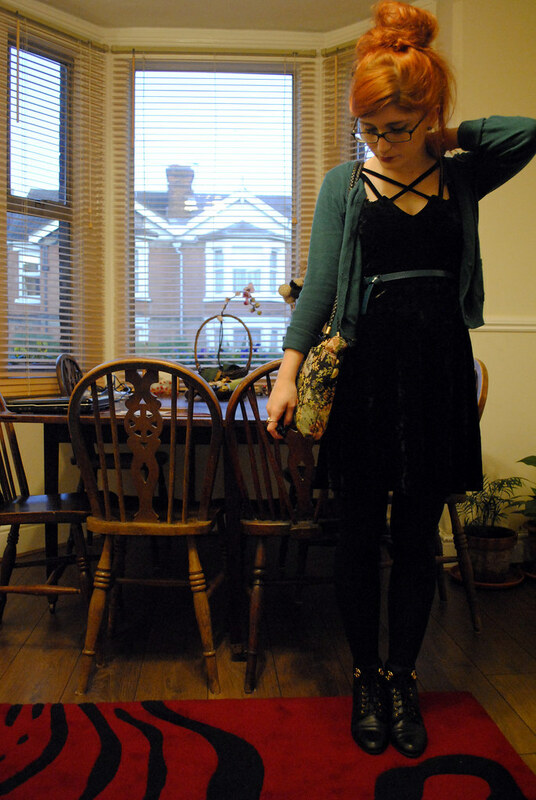 Cardigan – H&M Boots – Charity shop Bag – Urban Outfitters, a gift from my father a couple of years ago. Nail polish – No7 in “Totally Teal” It’s difficult to paint on without making mistakes because it’s so dark, but once it’s on a dry it looks amazing.